Someone recently pointed out to me that they thought this drawing was labeled incorrectly. 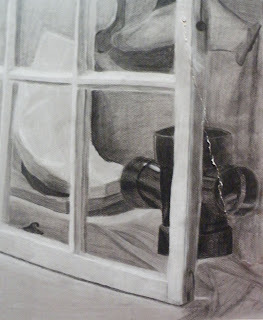 The drawing is of a window pane and I used the the wrong spelling. Here's the background story. Unfortunately this was one of my pieces destroyed. It photographed really well but you can see where it's torn on the right hand side. 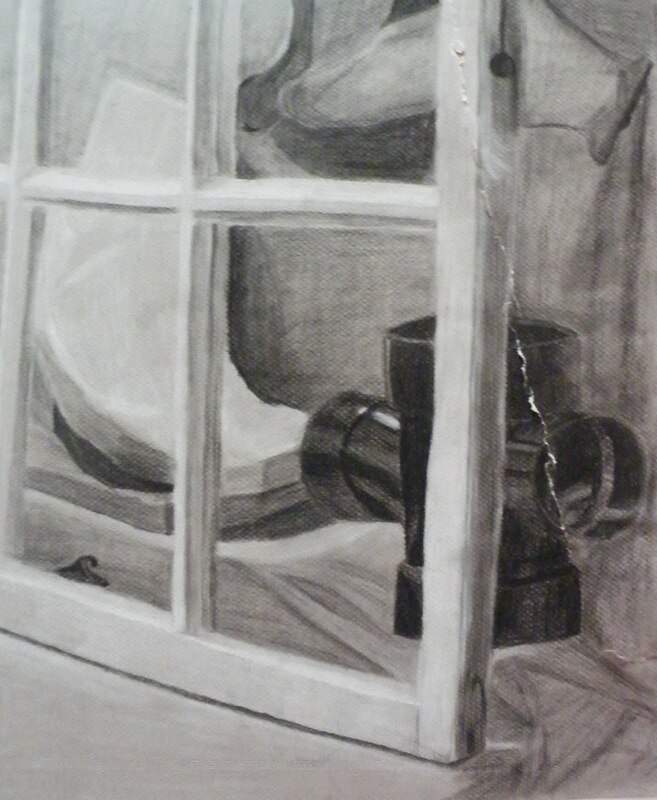 The tear starts on the right side of the window pane and cuts down across the pipe. This is one of my favorite drawings. I love the angles, the contrast, the details of the pipe. I'll admit it's not the greatest but it's still my fav. Until recently I never named my artwork. Once I started creating a website and blog I went through each piece trying to decide on names.